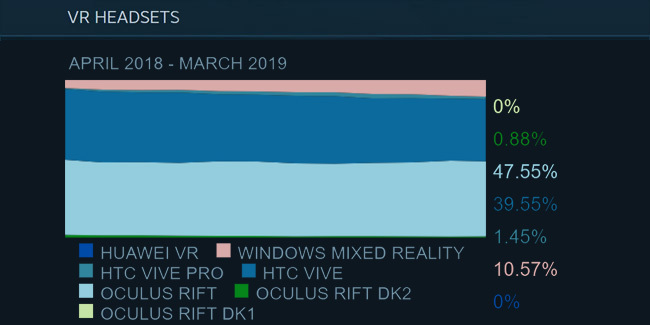 In the latest data from Valve’s monthly Steam Hardware Survey, it appears that the Oculus Rift still maintains a significant lead over the HTC Vive in overall market share. However, results show the gap has slightly tightened a bit as Windows VR headset adoption continues to grow steadily on the platform. 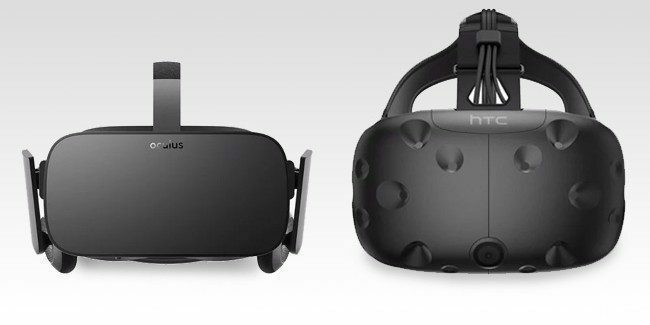 According to the March figures, which is based on data collected from users taking part in an optional participation survey by Steam to determine what kind of hardware and software is used across the Steam platform, shows the Oculus Rift still leads in headset market share now at 47.55% (down from 48.21%) over the HTC Vive, which came in with 39.55% (up a bit from 39.36%). While the Vive Pro, came in at 1.45% (down from 1.82%). Windows VR headsets appear to continue its gradual growth, reaching double-digits for the first time with 10.57% of the installed base. It’s likely we will soon see another notable shift in headset usage on the Steam platform when Oculus soon releases its upcoming Rift S and Quest headset, which are both due to launch sometime this spring. As always, it is worth noting that these figures are not necessarily a definitive means of measuring the VR headset market landscape. Participation in the hardware survey is completely optional and requires users to have their VR headset connected to their PC at the time of the survey data is collected for it to count. Neither Oculus nor HTC has revealed official sales figures for their respective headsets yet.